'happy tears' of a woman who has been proposing to a beloved man is a band designed with the motif. moments are memorized like a panorama. The ring is handmade and has an outstanding surface treatment. 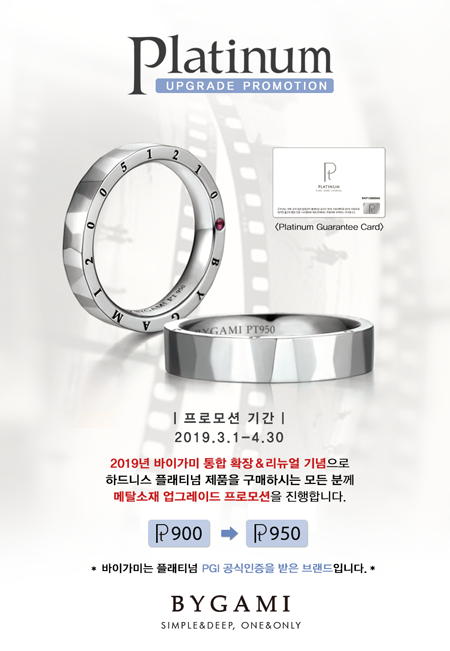 With sophistication and elegance, this ring shapes lovers hugging each other. It is a charming ring that gives prominence to sensibility and delicate setting flowing along the curve. This band, which means 'a tree' in German, is designed with a motif of natural wood texture and growth rings. It means that, like a tree, two people meet and make the growth rings with their profound love. 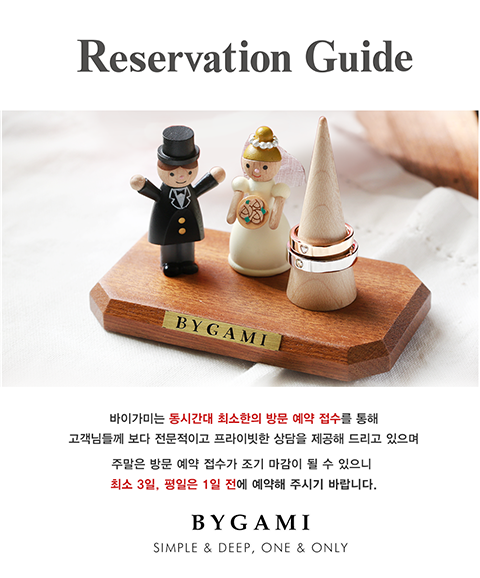 This is the first craft collection of BYGAMI. 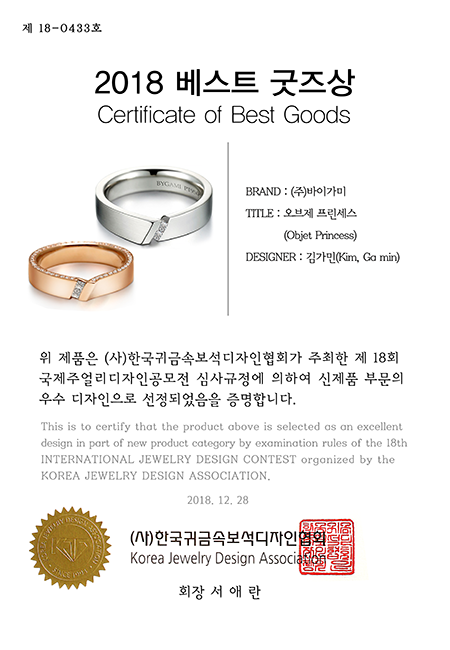 BYGAMI jewelry design have a concept of simple,luxury, and 1% especialness. design completeness, polishing, finishing and details of the jewelry.